The Shambhala teachings combine the deepest wisdom from an ancient tradition based in Tibetan Buddhist philosophy and psychology, with a completely contemporary body of practices, to bring the deep benefits of meditation into everyday life. These practices include a wide array of sitting meditation techniques, along with transformative tools for being more present and compassionate in all aspects of daily life. These teachings, available to anyone of any background, can help us work with fear, build confidence, and be more present in relationships, at work, at home, and everywhere else. The Way of Shambhala program of courses and weekend retreats offers an experiential overview of these practices, teachings, contemplative arts, and physical disciplines rooted in the ancient traditions of Shambhala and Vajrayana Buddhism.You are welcome to participate to the extent you wish. Sample a course or a weekend retreat—or a number of them—at any time. The full program is described below. A complete overview of the path of meditation and spiritual teachings. An introduction to basic meditation and how to develop a personal practice. Mindful appreciation and gentleness to oneself. Foundational Buddhist teachings. Compassion, joyous discipline, and healthy energy. Buddhist teachings on aspiring and loving action. Transforming fear. Buddhist teachings exploring ultimate reality. Playfulness, ordinary magic, and innate wisdom. An introduction to the vajrayana Buddhist teachings. 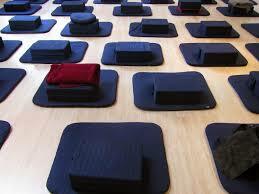 Shambhala Training is a series of secular meditation workshops, suited for both beginning and experienced meditators. Levels I-V provide a strong foundation in mindfulness-awareness meditation practice. These five workshops include meditation training and practice, talks by senior instructors, personal interviews, and group discussions. Level I marks the starting point of the Shambhala path of weekend city retreats. It focuses on the basic technique of mindfulness meditation and the profound discovery of basic goodness in the world and in ourselves. 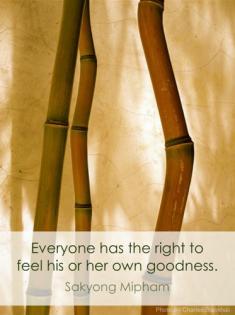 The Basic Goodness series of weekly classes introduces the view of Shambhala in an experiential way. The primary practice is Shambhala Meditation. The key difference between the Everyday Life courses and the Basic Goodness courses is that the Everyday Life courses emphasize personal transformation in daily life, whereas the Basic Goodness courses emphasize the experiential study of view and meaning. This course asks the question, “Who am I?” and explores the sense of self. It includes teachings on selflessness, the arising of ego, and enlightened-nature. We practice contemplative investigations of the self, based on the foundations of mindfulness. This course asks the question, “How can I help?” and explores our relationships with others and an aspiration to help our world. We ask what enlightened society may be. The course focuses on transforming four aspects of society: family life (household), professional life, entertainment, and economy. 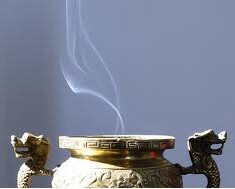 We learn the traditional compassion practice of “sending and taking” (tonglen). This course asks the question, “What is real?” and focuses on a study of the phenomenal world. 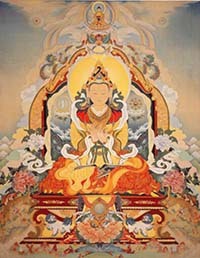 It emphasizes core Buddhist teachings, such as impermanence, the process of perception, the “mind,” and emptiness. It is oriented toward the experience of sacred world, the magic of the natural elements. The course also has an ecological emphasis. The Rigden weekend retreat is the culmination of the Everyday Life, Shambhala Training Levels I-V, and Basic Goodness series. The Rigden is a representation of our enlightened nature and embodies the principle of unconditional confidence. Historically, Rigdens were enlightened rulers— those who could “rule their world” based on their unwavering experience of basic goodness. This retreat is led by a Shambhala master teacher (acharya) and includes a transmission of “windhorse” practice and an opportunity to proclaim a commitment to basic goodness by formally taking the Shambhala Vow. Prerequisite: Wisdom in Everyday Life, Shambhala Training Level V, and, if possible, The Basic Goodness Series. Great Eastern Sun teaches us how to see the primordial energy and brilliance that is the basis of all that exists, and emphasizes the living context for building a sane society.